The inks on this page are other dog related links. The links below are on the website of the Basset Hound Club of Southern California, Inc. We encourage everyone to check them out long before you have an emergency with your dogs. It is important to be prepared ahead of time if an emergency arises. 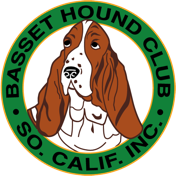 The following links are from The Basset Hound Club in the United Kingdom. They offer some excellent information on the breed. While some of the information isn’t appropriate for bassets in the United States these links do give information from another country on the breed. The following link is independent of BHCSC. Some of the music and sound effects used in our video projects have come from this website. It offers them free to users who link to their website.